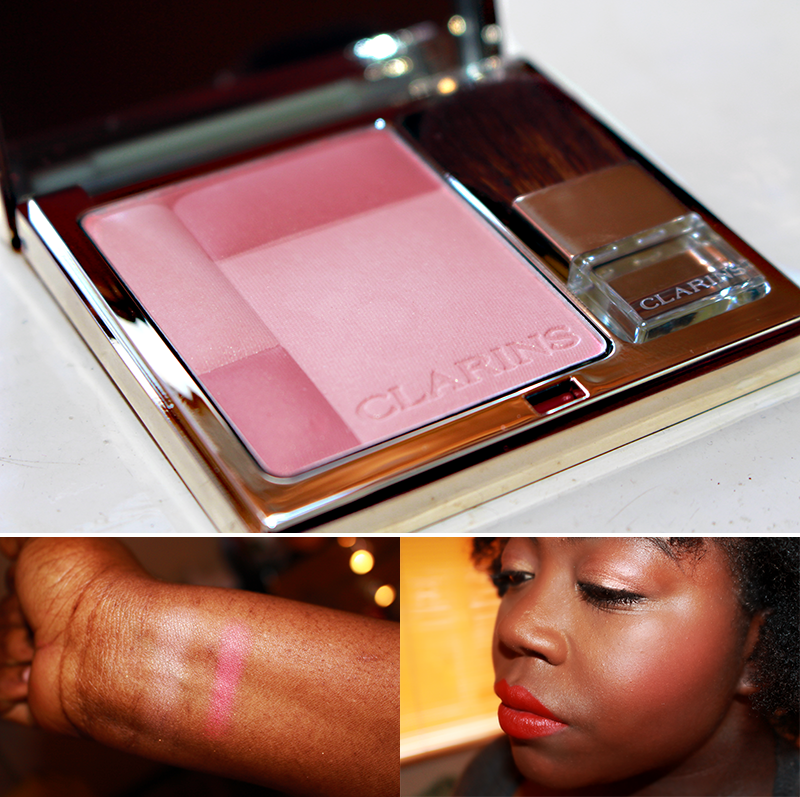 I’ve been a tad excited in the run up to trying this blush as it’s my very first Clarins product and after seeing such great reviews on across the web, including Sandra’s blog, I decided to purchase this blush during the Boxing Day sale on Escentual.com. The blush formulation contains mineral and plant extracts and promises to “add colour and luminosity to cheeks for an instant, healthy -looking glow.” Sounds right up my street for this coming Summer. 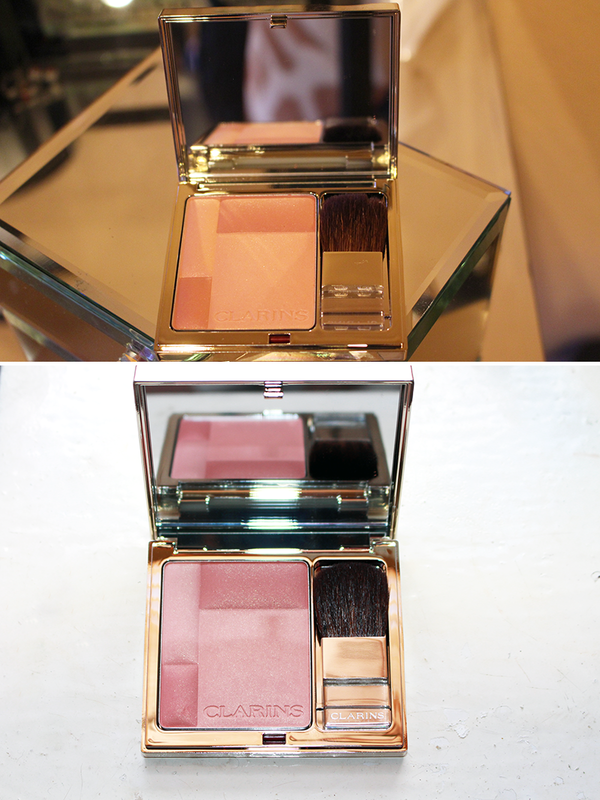 The blush comes with a tiny brush that can be used to apply the powder. I personally prefer to use MAC’s 116 blush brush as it gives more of a wide coverage seeing as my cheeks are particularly chubby (lol), however the brush is pretty great for contouring. The shade itself is split into a bigger, matte area as well as the smaller areas to be used for illuminating the skin via a slight shimmer. Initially, I was a bit hesitant to try out the shade as it appears much darker on the website and I was anxious that it would appear too chalky on my tone, but it applies on pretty well, complimenting my skintone perfectly. Overall, it’s a gorgeous colour that I feel would be suitable for all skintones – however if you’re a fan of matte/velvet textures, I would go for something else as the formula is a bit on the shimmery side. The packaging itself is gorgeous as well! 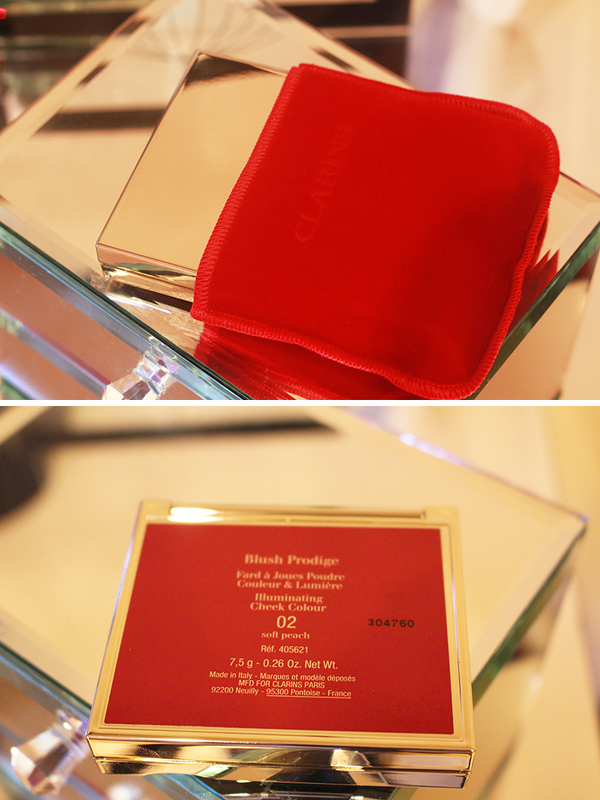 I love that it comes in a little red velvet pouch – screams class (take note, Michael Kors!). 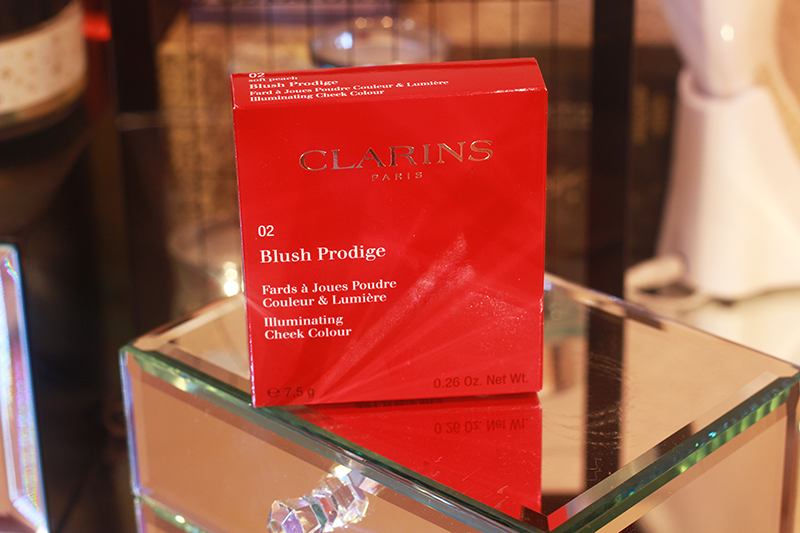 Clarins Blush Illuminating Cheek Colour (7.5g) | £26 | Available from Escentual.Com, Clarins website and concession counters nationwide.